From the Champions League and into the Manchester Derby and Der Klassiker, what a way to head into the international break. 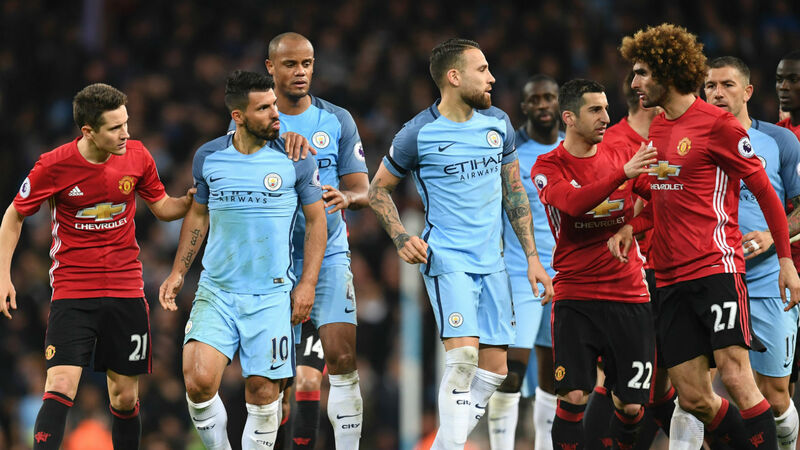 Leaders City face arch rivals United in the Manchester derby with Pep Guardiola’s one of the three unbeaten sides – conceding only four and keeping six-clean sheets in their last seven games of the Premier League. United on the other end have conceded the first goal in each of their last three away matches but have at least avoided defeat in all the three (W2, D1) – their last being a comeback to defeat Juventus in mid-week. One interesting fact by Opta is most of United’s goals have come from strikers but City have only conceded from defenders and only Danny Ings who broke the deadlock with a penalty. Do United have free scoring defenders? A 177th meeting between the two rivals with United – 73 versus City’s 51 plus the fact that United are the only side to beat City at the Etihad in the Premier League in the last 37-games there means they still have a chance at odds. With the backing of the odds coupled with signs of improvement recently means United have a higher chance to claim just more than a point on Sunday, but I cannot imagine them picking even a draw. Place it safe, imagination doesn’t guarantee you actuality – go for both teams to score. You can also trust City to defeat United. In the German Bundesliga, the morning of reality awaits Bayern Munich who seem to be in slumber under new manager, Niko Kovac – enduring a difficult run of results. They went winless in three straight competitive matches before recovering to unconvincingly win their last four. However, new manager Lucien Favre carries an unbeaten run at the Signal-Iduna-Park this season in all competitions and have scored three or more goals in six of their seven home games in the Bundesliga and Champions League. Going against a rejuvenated Dortmund side, Niko Kovac and his rather old and thin squad seems past its peak as younger players like Kingsley Coman, Corentin Tolisso and Thiago remain out -injured. Yes, they have picked up positive results since mid-October, but they are not performing at their best, with many slim wins against lesser sides, most recently a 2-0 win against AEK at the Allianz. Dortmund have a huge chance to extend the gap to seven points here banking on their impressive home run against strong opposition – including 4-0 win against Atletico and the yellow wall can give die Schwarzgelben a chance, however much the Opta stats show that the vistors have lost just one of their last eight Bundesliga matches against the hosts. Expect Bayern to try to dominate this game from the outset but trust Dortmund to give them a run for the result. Trust Dortmund to claim a 3-1 win over Bayern – Also, expect Marco to score.